It’s that time of the year again! Crazy deadlines and a wonderful sense that the city is full of life in April. 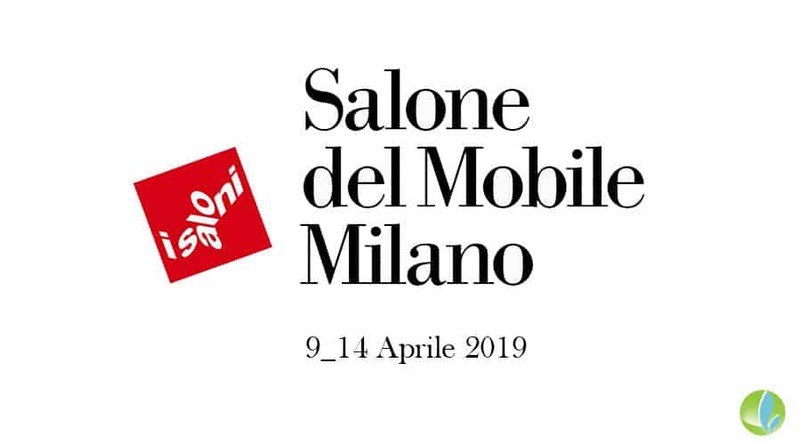 Yes…it’s that time of the year when the famous Salone del Mobile in Milan takes place and the horde of design obsessed fanatics gather in the city to party, see the latest trends and network. For those who have never visited during this period let me do a nice rundown of what occurs followed with some tips and also some highlight events that you should check out if you are in town. Ever since I moved to Milan (wayback in 1992) this Event typically takes place during the first or second week in April staying far way from the Easter Holiday which is on the third week of April so as not to lose visitors. – via Palermo 1, Brera Design Apartment (3rd floor) this year will be set up by Cristina Celestino. Planetarium is his project inspired by space and the underwater world, which will reinterpret the carpet as a contemporary material in a setting with luminous sculptures. – via Palermo 1, The Socialite Family, a “Parisian” apartment in Milan. – via Palermo 1, the gallery-home that will host a new exhibition and Le Botteghe su Gologone, a collection that combines contemporary design with the traditions of the Sardinian Barbagia. – via Palermo 5, Marimekko (P5Apartment). – via Palermo 16, Maisons du Monde. – via Solferino 11, Dimore Studio, Boffi and Paola C, the invitation is to get lost in temporary locations and showrooms. – via Moscova 28, Moooi in the beautiful location of the Santa Teresa Media Library. – via Lovani 6, Artek. – via Goito 7, HEAD, Haute école d’art et de design de Genève. – corso Garibaldi 116, DcomeDesign Reloaded (Humanistic Library of Santa Maria Incoronata). – corso Garibaldi 117, Hem. – via Ciovasso 17, MT Masking Tape. – Largo Treves 5, Memphis. The 2019 edition of the 5vie district is dedicated to the work of Ugo La Pietra. – via Cesare Correnti 14, Territorial Design, Genius Loci. Discovering the traditional Italian know-how that meets design. – via Meravigli 7, Masterly – The Dutch in Milan (Palazzo Turati). – Corso Magenta 24, The Litta Variations. – via Santa Marta 15, ceramic Paravicini. – via Santa Marta 18, Human Code by Roberto Sironi, a reflection on human development and 300,000 years of evolution. – via Bandello 14, Rossana Orlandi, a reflection on human development and 300,000 years of evolution. – via Gesù 5, Palazzo delle Meraviglie, Bagatti Valsecchi Museum. – via Manzoni 5, The Manzoni-Tom Dixon, Restaurant and showroom. – via Morigi 9, Botanical Reflection, Palazzo Belgioioso. – via Pietro Mascagni 8, Interstellar, Dimorestudio. – corso Monforte 35, COS Palazzo Isimbardi, with a 3D printed installation by the French architect Arthur Mamou Mani. – Palazzo Reale, The Art Side of Kartell, to celebrate the 70th anniversary of the company. – via Festa del Perdono 7, Interni Human Spaces, State University of Milan. In particular we point out the tribute signed by Piuarch studio to the Forest of Violins, the centenary forest in Val di Fiemme swept away by bad weather last fall. Two large spruce logs will emerge suspended from the loggia of the University’s Courtyard. – Royal Room of the Central Station, Pleasure & Treasure, Austrian design. – via San Gregorio 29, Wallpaper * Handmade, Isko, Denim Sound Texture. – via Bergognone 34, Ventura Future, Bagatti Valsecchi Museum. – via Tortona 32, IKEA-Lexus, Torneria where the new speaker collection will be launched with a light and sound installation. – Superstudio Più, Superdesign Show-Innovation & Tradition, Normann Copenhagen, Lexus, LG Electronics, Japan Loves Superstudio, Korea Craft & Design Foundation, Materials Village. – via Tortona 35, Outspoken Design Language. – via Savona 56 / A, Sony Affinity in Autonomy. – via Savona 35, Norwegian Presence. – via Vigevano 18, Nendo. – via Vivaio 7, Wonderglass, Nendo, Institute for the Blind. – via Gaetano de Castillia 26, La Stecca 3.0, the first bar entirely printed in 3D and other events. – via Genova Thaon by Revel 21, Japanese design and art installations (Fonderia Napoleonica Eugenia). – via Pastrengo 14, Milan Design Market, Milan Icons with the miniatures of Milan’s most iconic buildings by the artist Ornella Corradini. – Via Pastrengo 7, Different Bodies, Royal Academy of Fine Arts Schools of Architecture, Design and Conservation (KADK). – via Confalonieri 11, The arctic and sustainable living, Academy of Art and Design of the University of Lapland. – via Procaccini 4, Unduetrestella, Kids. XXII Triennale dedicated to sustainability and the relationship between man and the environment. Being a passionate fan of the old Fiat 500 car (it is my dream to buy one of these relatively soon!) while doing some research regarding the cost and repair tips for these antique classic cars I stumbled upon a young 23 year old self-taught femail mechanic called Giovanna who was recently featured on La Repubblica online edition of the famous Italian Newspaper. Wow! What a treat to see such a young architect decide to learn on her own how to repair and restore these models from scratch! To close out here is where you can find some more information regarding this talented young entrepreneur.